Maps Mania: UK Google Maps Mashup Round-up! Hackney Where? is another great Google Maps mash-up produced by a London local council. The map allows anyone in the borough of Hackney to enter their address and find out which electoral ward they belong to and who is their MP and local councillors. The map comes with a range of other features as well. 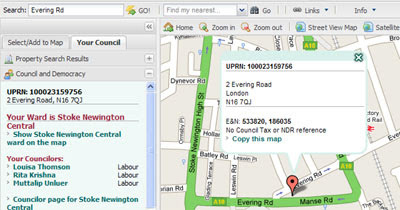 Using the map it is possible to see if there are any planning applications for your neighbourhood and view the latest air quality results. It is also possible to find out the nearest schools, doctors and car parking spot. The map also comes with a tab to add a number of layers to the map. These layers include council offices, city farms, libraries, sports facilities etc. 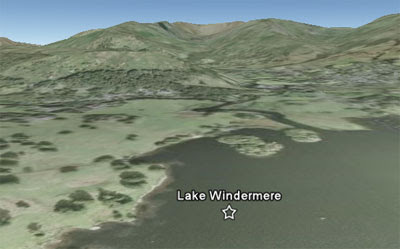 This virtual tour of the UK's Lake District uses the Google Earth plug-in to take you on a journey around some of the most beautiful spots of this national park. When you start the tour the map zooms in on a location and loads a description of the area. The user is then able to use the 'next' and 'previous' buttons to navigate through the other locations. Although this map is not produced by an official tourist agency it does demonstrate how the Google Earth plug-in can be used to promote areas for potential visitors. The Geograph British Isles project aims to collect geographically representative photographs and information for every square kilometre of Great Britain and Ireland. 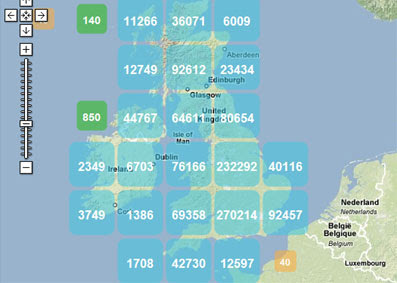 The site has just added a Google Map to its website that uses the Geocubes clustering solution to map 1.25 million submitted photos, covering nearly the whole of the UK.